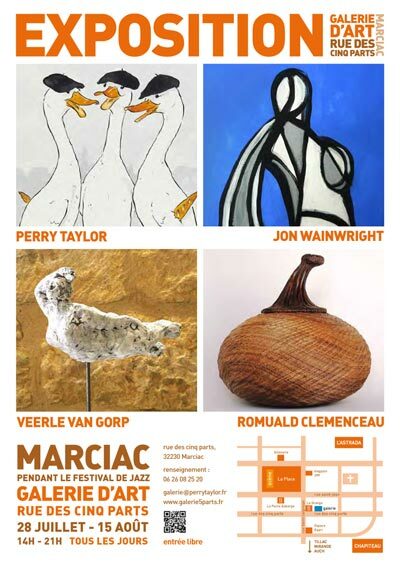 Marciac (32) - Jazz in Marciac - end of July - mid August. 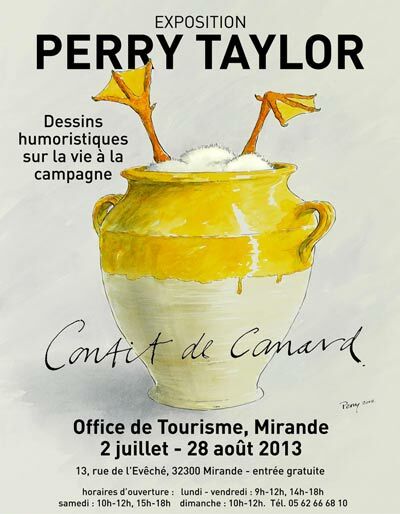 Perry shares his pop-up gallery with Yannick Beslot, Rue des Cinq Parts, Marciac. 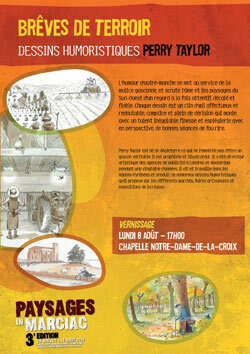 Here follow some exhibitions planned for this year. 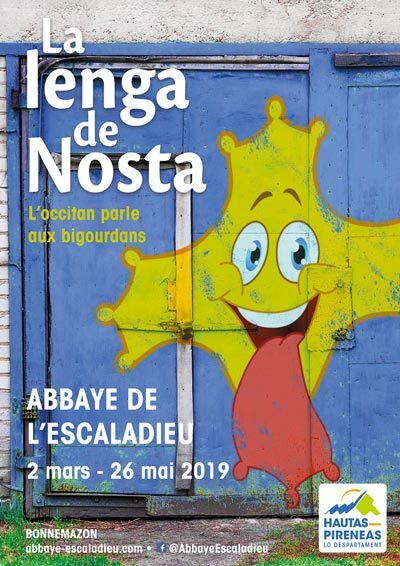 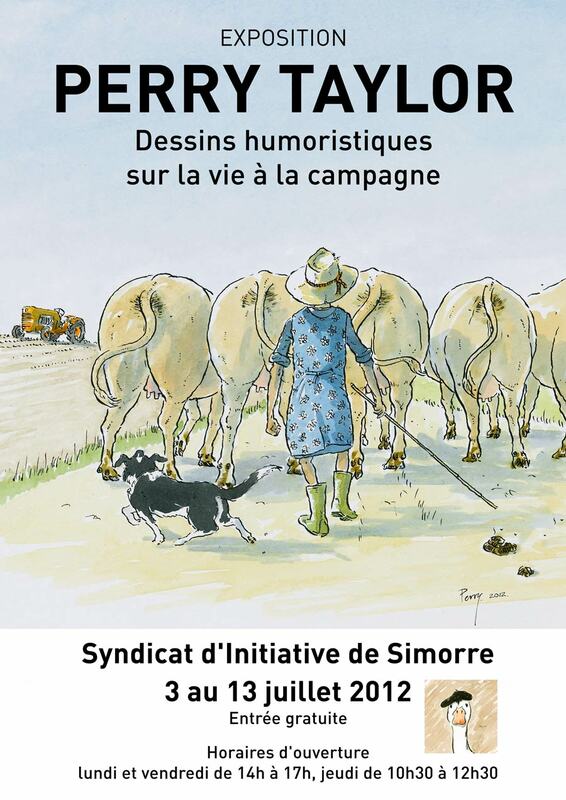 Bonnemazon (65), Abbaye de l'Escaladieu - March, April, May 2019 (as part of an exhibition on the Occitan language and culture). 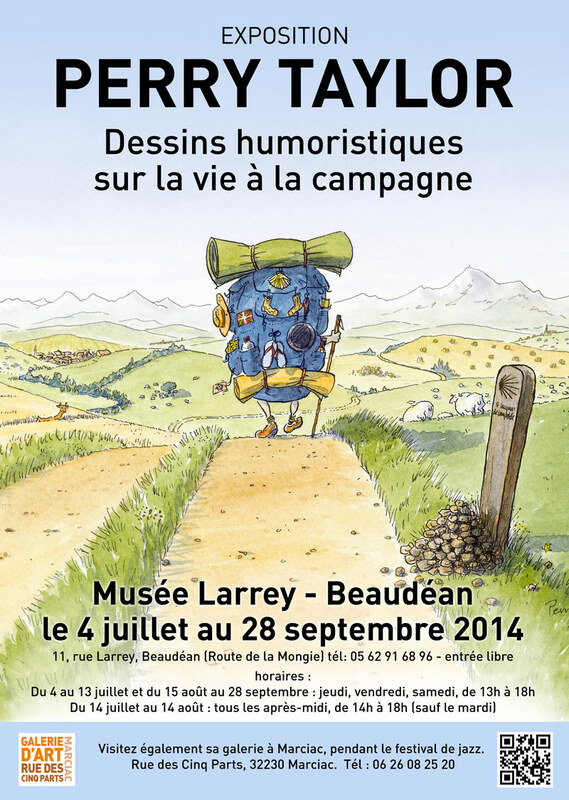 Beaudean (65), Musée Larrey - July, August, September. 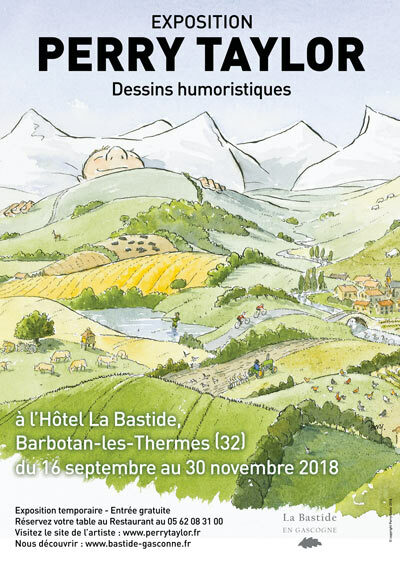 Lavardens (32), Château de Lavardens - July, August, September. 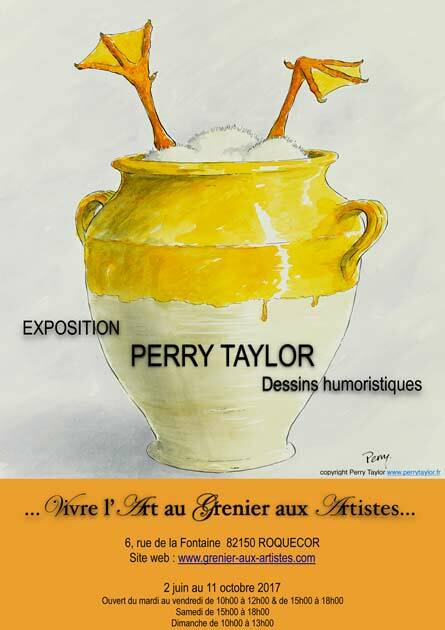 Due to the popularity of last year exhibition in the chateau, Perry has been invited to exhibit a retrospective of his work from the last ten years. 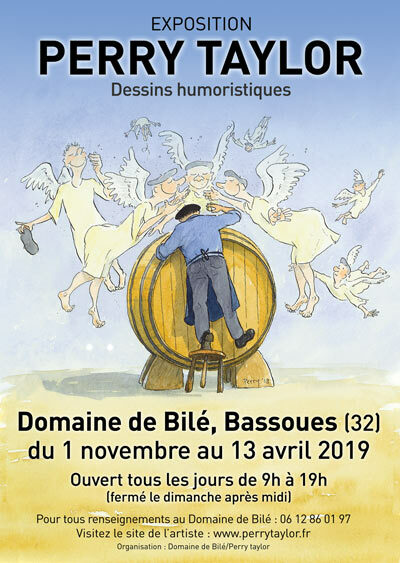 Bassoues en Armagnac (32) Domaine de Bilé - november 2018 - april 2019. 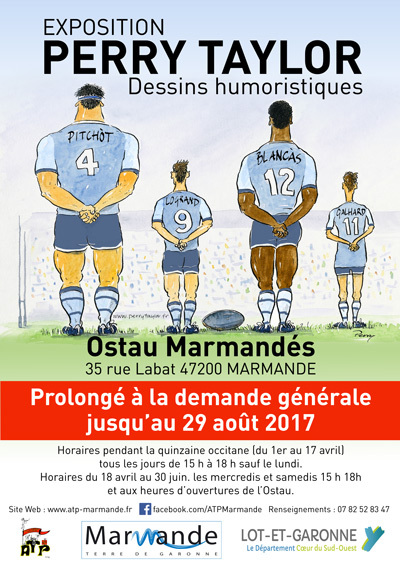 Escalans (40), Château de Buros - Until 13 September. 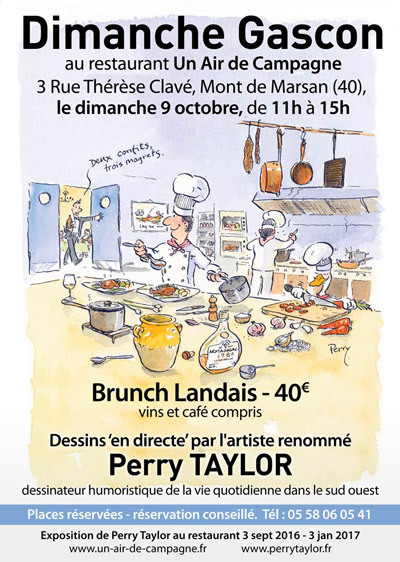 Capvern Les Bains (65) Office de Tourisme - 5 September - 24 October. 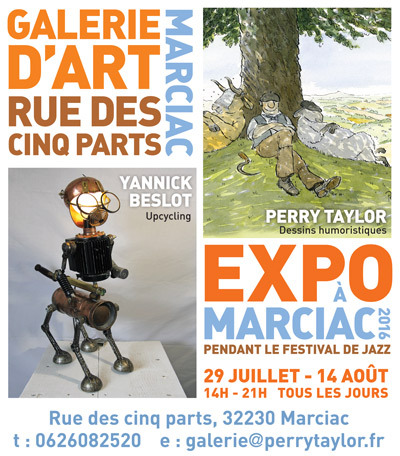 During world famous Jazz festival in Marciac, Perry shares his pop-up gallery with Yannick Beslot, Galerie d'Art Rue des Cinq Parts, Marciac. 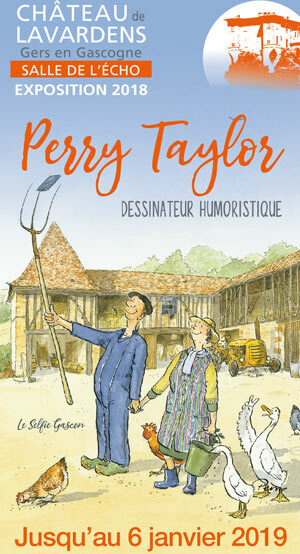 A selection of reproductions and Perry's books are on available. 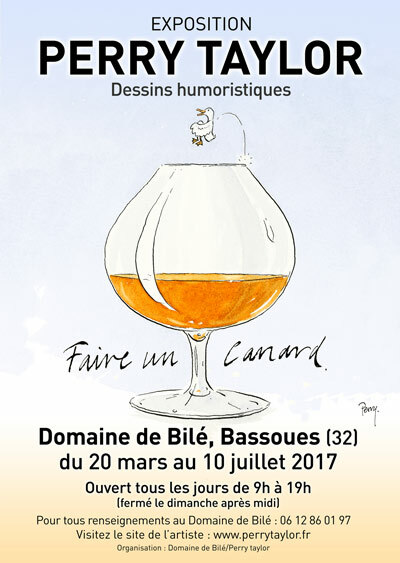 Bassoues (32) - Domaine de Bilé, famille Della Vedove, wine growers. 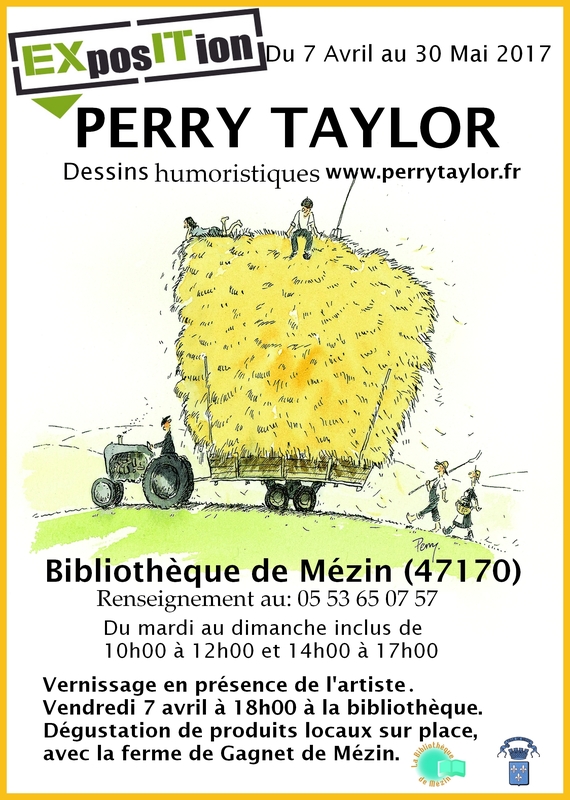 For more information, please click on the image below. 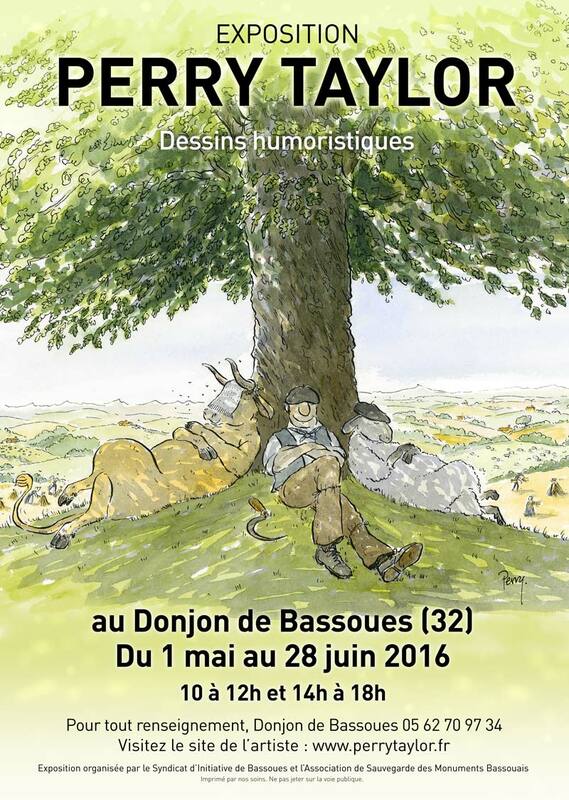 Bassoues (32), in the 14th century's Donjon tower. 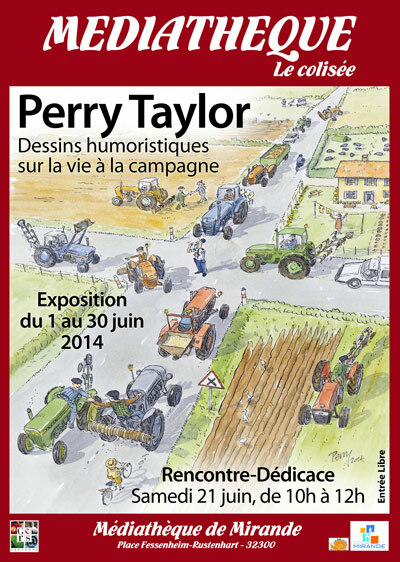 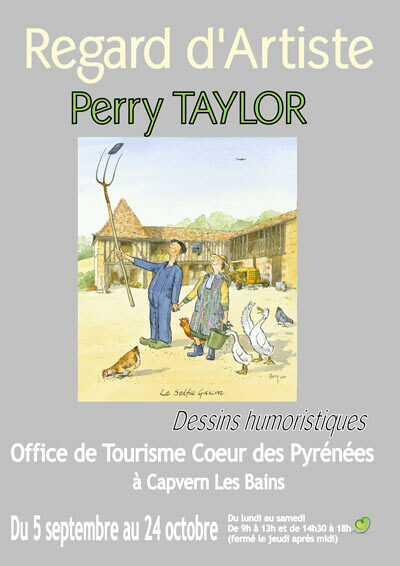 A selection of reproductions, greeting cards and Perry's book are on sale at the reception. 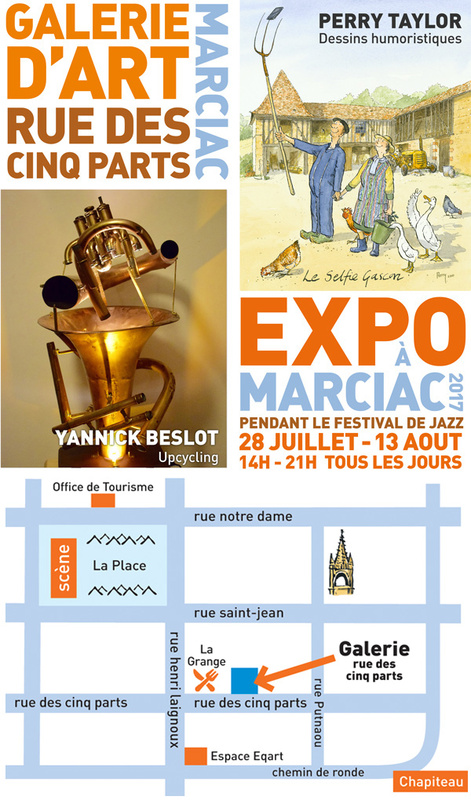 Marciac (32). 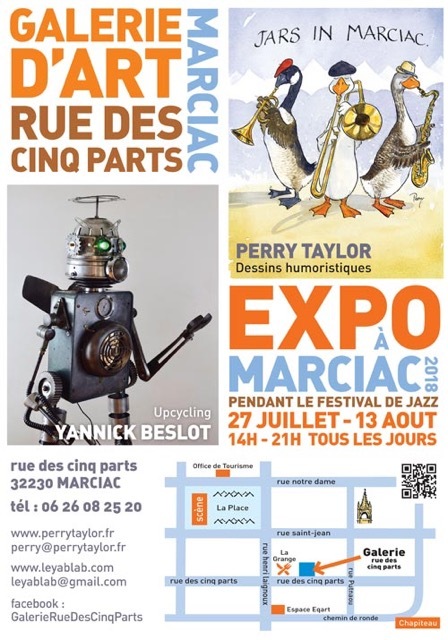 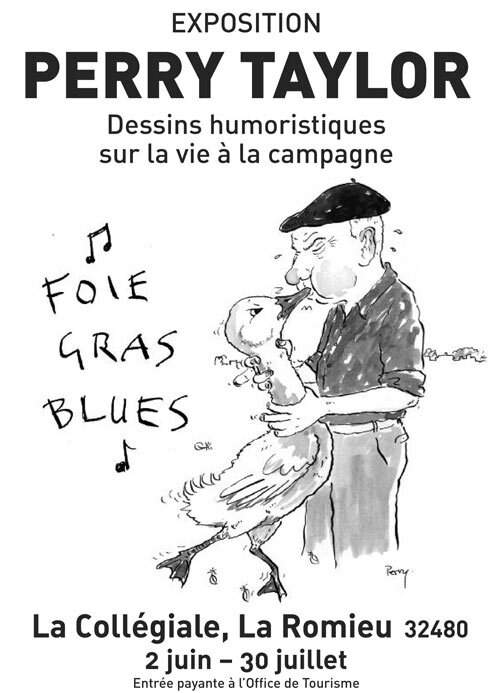 During world famous Jazz festival in Marciac this year, Perry shares his pop-up gallery with Yannick Beslot, Galerie d'Art Rue des Cinq Parts, Marciac. 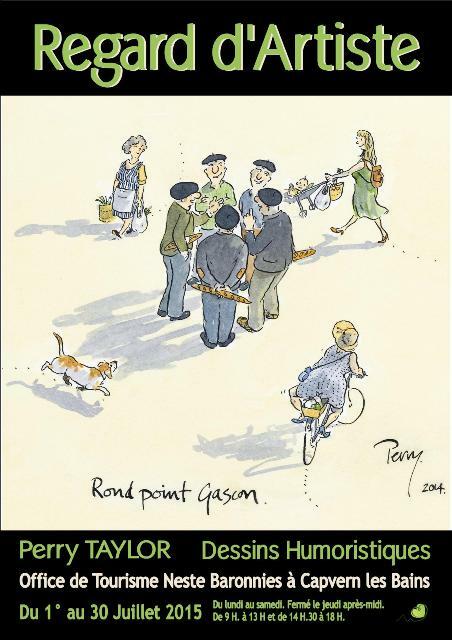 Bonnemazon (65), Abbaye de l'Escaladieu expo "Di-vin - Une histoire de la vigne et vin"
Perry's prints, book and greeting cards are on sale at the reception. 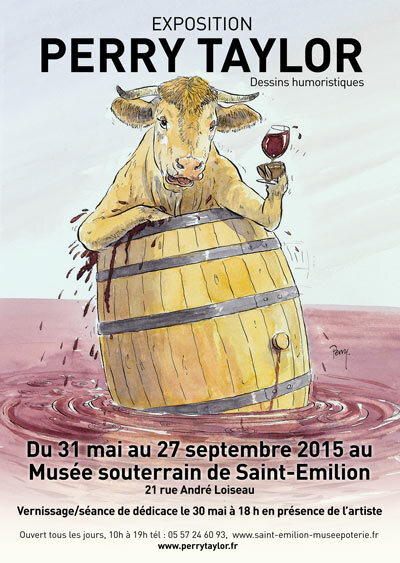 St Emilion (33), Musée souterrain de la Poterie. 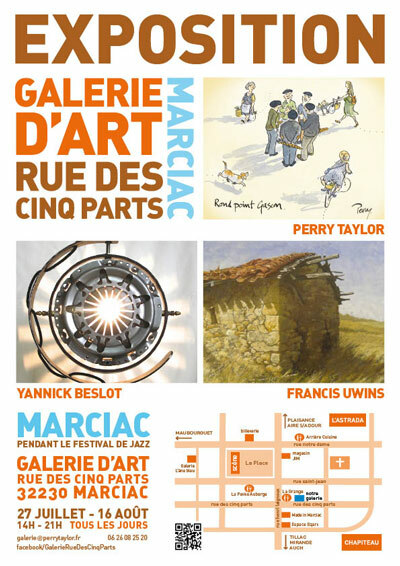 Marciac (32) During world famous Jazz festival in Marciac this year, Perry shares his pop-up gallery with Francis Uwins and Yannick Beslot, Galerie d'Art Rue des Cinq Parts, Marciac. 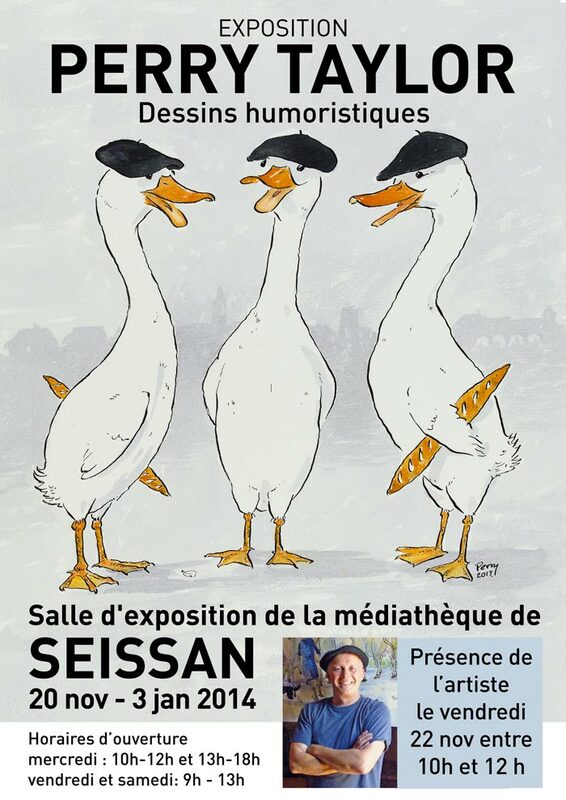 Tour d'Art 16 artists show their work throughout the village during the two days of the Salon des Antiquaires. 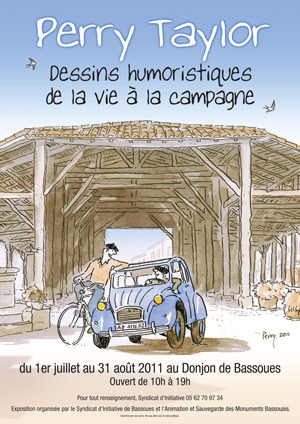 Capvern les Bains (65) - Tourist Office.